Moscow is a two-player game covering the advance of Army Group Center, Autumn 1941. 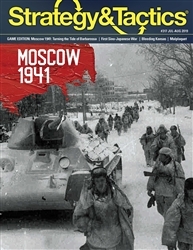 It is a simulation of the campaign by the Germans to capture Moscow from the Soviets in from October until January 1941. 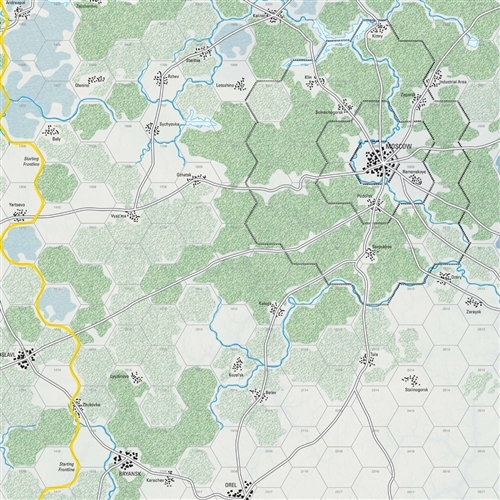 This game’s system is a progeny of the foregoing Leningrad game published by Decision Games (2010) with some slight differences (such as the stacking limit). 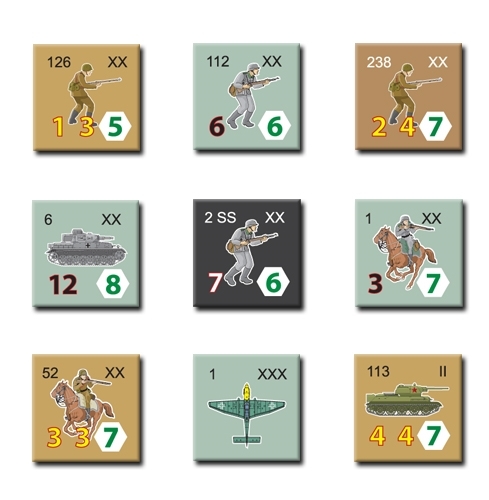 Players whom are familiar with the Leningrad game will be able to play this game with only a perusal of these rules where they are specifically relevant to this game. 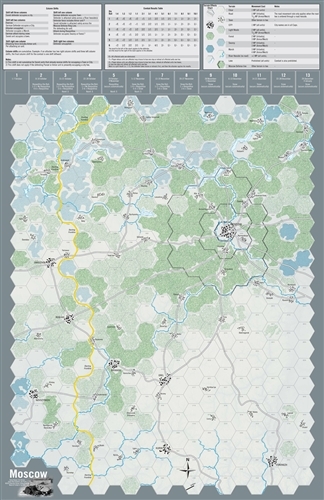 Each hex represents 30 miles with each unit representing a division and in some cases brigades.